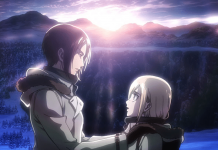 Culture Anime ‘Attack On Titan’ Season 2 Release Date, Spoilers, Eren’s Identity, And More! ‘Attack On Titan’ Season 2 Release Date, Spoilers, Eren’s Identity, And More! 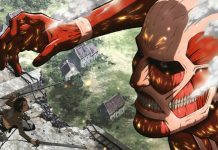 Attack on Titan, or Shingeki no Kyojin, is finally returning to air and details about the anime series’ second season are almost in sight. Attack on Titan Season 2 is scheduled to air on Saturday, April 1, on MBS, Tokyo MX, and others. This is very good news for the fans, but things are not looking so good for our main character of the series, Eren Jaeger. Three years have passed since the first season of Attack on Titan aired and overwhelmed viewers all over the world. But 25 regular episodes and 5 special episodes just weren’t enough to satisfy the audience. An audience which has already grown to love the anime’s intense and often bloody action sequences coupled with a gritty and compelling story of survival will certainly crave for a second season. 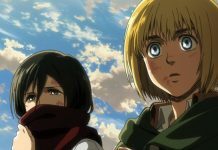 The official synopsis for the upcoming second season states that Eren continues to uphold his sworn duty of taking out every last Titan threatening the existence of mankind. But engaging in the seemingly never-ending battle and risking his life at every turn may lead him to become a Titan himself, what he hates the most. Eren could lose himself in the war against the Titans, and wielding his newfound powers for humanity’s sake could easily take its toll on his well-being. Will he be able to keep the blood lust under control or will it end up controlling him in turn? A horde of Titans will also be approaching Wall Rose, humanity’s second outermost layer of protection against the mindless beasts. As the battle for survival continues, how long can humanity possibly keep a rampaging horde of Titans from breaching the rest of their defenses? The official promotional video for the second season provides a preview of the destructive horde of Titans breaching Wall Rose and bringing nothing but devastation and death in their path. But even though humanity’s struggle for survival may seem bleak, they will keep on fighting, because giving up means admitting defeat. The trailer also teases that the secret of the walls, along with other mysteries left hanging in the first season, will finally be revealed. Are you also excited for Attack On Titan Season 2? Let us know what you think in the comments below. 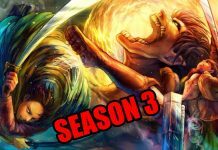 ‘Attack On Titan’ Season 3 Spoilers & Speculations: Gritty And Intense Fights Predicted!